Laurel Horton is an internationally acclaimed quilt researcher, author, editor, and lecturer. She has studied quilts and made quilts since 1975. Her numerous publications include books, research articles, book reviews, and popular articles. Her many conference papers and online presentations attest to her continued engagement in public as well as academic venues. She consults with museums to curate exhibitions of historic quilts, write catalog essays, and prepare interpretive materials. 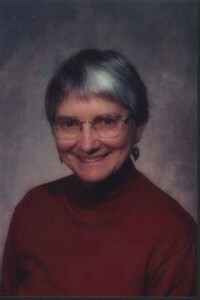 A member of the American Quilt Study Group since 1982, Laurel is a frequent author and the former editor of Uncoverings, AQSG’s annual volume of research papers. As a mentor to new researchers, she brings the breadth and depth of her experience, a commitment to excellence, and a compassionate objectivity. As a quiltmaker, Laurel uses simple techniques to transform “found fabrics” into colorful, whimsical decorative pieces for walls or beds. Since 1990, she has taught these simple techniques as a way to “jump-start” the creative process for her students at the John C. Campbell Folk School.